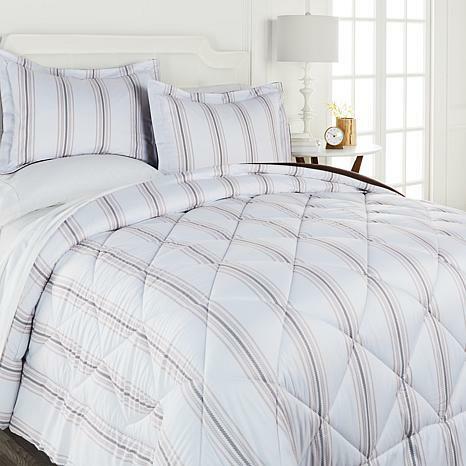 Get out of your dreams — and into this comforter set. With softness you can sink your hands into and a sophisticated diamond-quilt design, this set is all about making those dreams come true. I purchased the gray and white comforter set, and I love it. Very soft and not to heavy. I washed the comforter as soon as I received it and it did not bunch up like most comforters ive Purchased.! Just love it !!!!! So warm and soft.